From early design considerations of habitat preservation and geopathic energy assessments through to the final stroke of paint, all features were considered for their effect on human health, environment and of course, comfort and beauty. And Evolve managed them all within budget. With its elliptical shape borrowed from the natural contours of its surroundings, the house gently perches on a hillside. 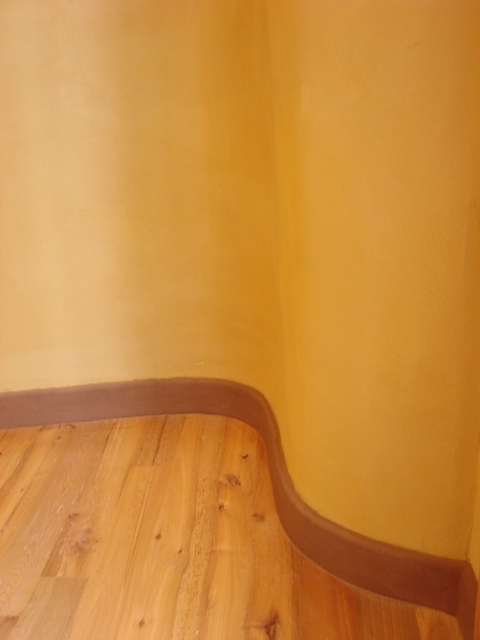 The curved walls also invite sunlight deeper into the house and for longer each day. Adjacent shade trees were carefully maintained ensuring seasonal shading and provision of privacy. 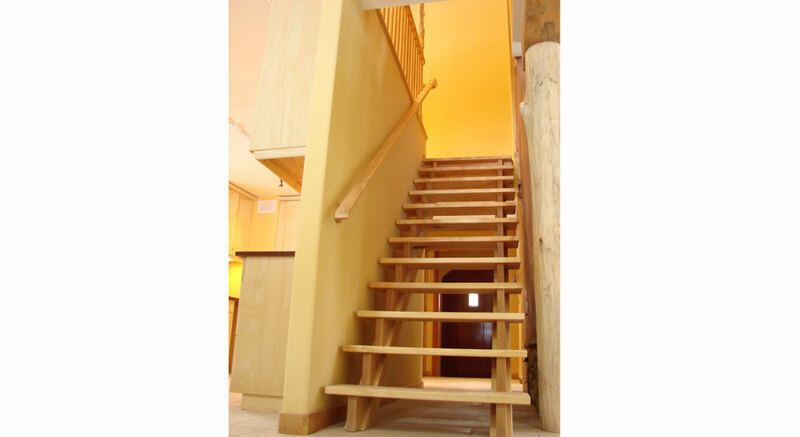 Prior to construction, eco-architect, Ingrid Cryns, dowsed for the geopathic earth energy lines to find the best place to position the house to clear the bed, sitting areas for the couch and office as well as the kitchen sink. Together with other special strategies, this creates a very strong sense of well-being, joy and calmness when inside the house that is very noticeable to all who visit. 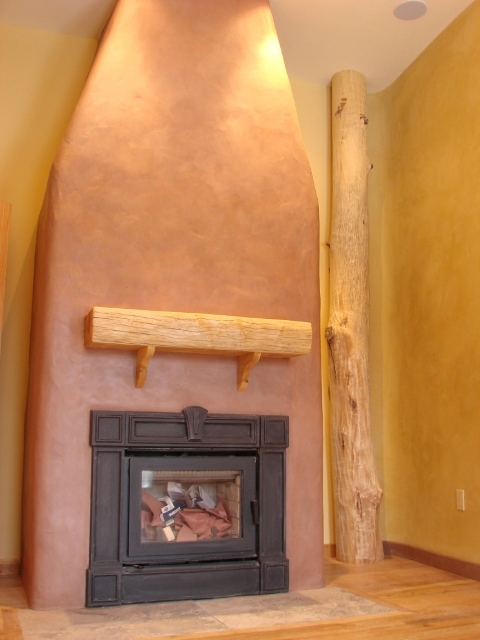 Inside, custom earthen sculpted reliefs emerge from fireplace surrounds and snake along the floor as a unique baseboard. Luxuriously deep window sills replete with tiled mosaics, complete the storybook look and allow personal expression for the owner, who assisted with design and implementation of such details. Careful attention paid to sealing of all joints in the building envelope and upgraded conventional insulation are de rigueur for Evolve Builders Group Inc. Low- or no-VOC sealants and recycled under-floor insulation, instead of virgin polystyrene, are further steps made standard by Evolve. 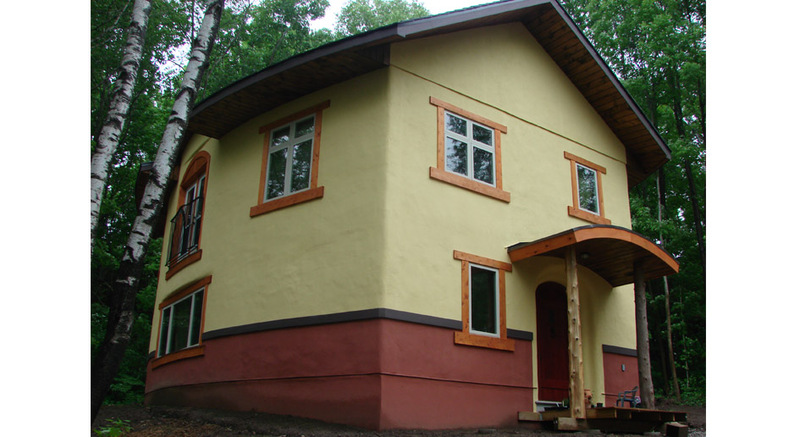 Additionally, this home’s strawbale insulated exterior walls, at R40, offer better than twice the operating performance of ordinary conventional construction methods. While insulating is important, so too is the notion of massing: using dense materials in which to store and then slowly release heat. A heavy concrete subfloor as well as 1 ½” of plaster on the interior of the bale walls, combine to provide excellent thermal storage capacity. This mass absorbs heat when it is generated via the sun or the radiant floor heat distribution system, and then gently releases this heat again as the air temperature declines. Strategic use of mass provides comfort and efficiency year ‘round – this home has no need for mechanical air conditioning. Integration of a “masonry oven”, expands the use of mass in this home. Ordinary fireplaces or woodstoves regularly burn uncomfortably hot while also consuming wood inefficiently as up to 70% of the heat escapes through the chimney. Masonry ovens incorporate many small channels into specially constructed masonry masses between the firebox and the chimney. These channels absorb the generated heat before it escapes to the chimney – improving efficiencies by a factor of 2x or 3x. Better still, this mass radiates the captured heat for hours afterward at a slow, gentle pace, allowing the users to bask in a soft, warm glow with all the visual pleasure of any fireplace. 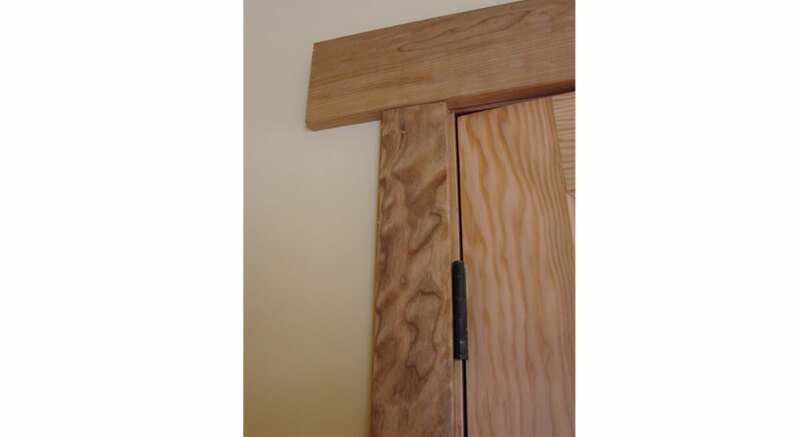 Local sourcing and use of naturally occurring materials are vital components in reducing the impact of this home. 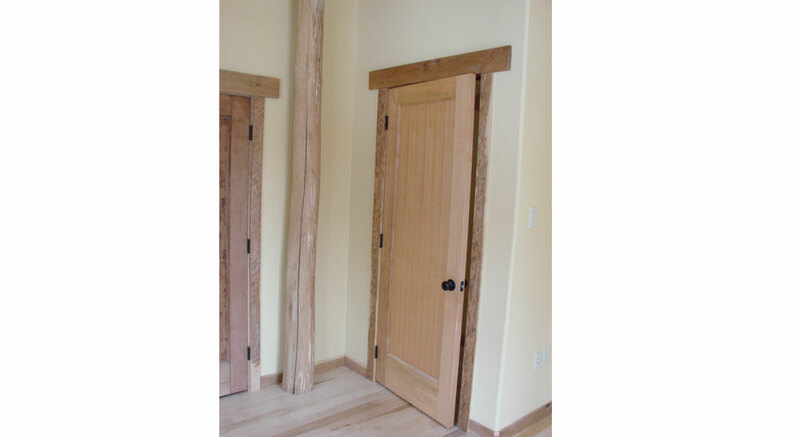 And what could be more local then felling trees from the owner’s surrounding woodlot, milling them on site, kilning nearby then milling the finished boards into the interior doors, cabinet doors, window sills, stair treads and baseboard. To top it all off, literally, natural oil finishes were applied and offers long lasting protection in lieu of ordinary petrochemical based urethanes. 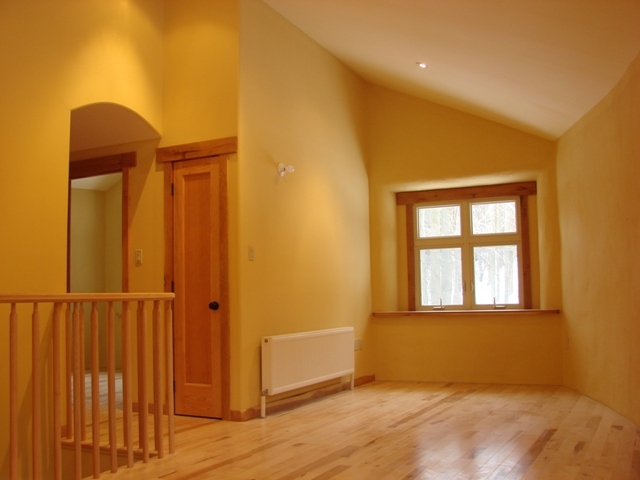 Canadian manufactured mineral based paints were applied to provide rich colour and naturally mildew-free wall finishes. A meditation room was even more specially treated using American Clay™ veneer instead of paint, leaving a suede-like texture that immediately attracts attention. 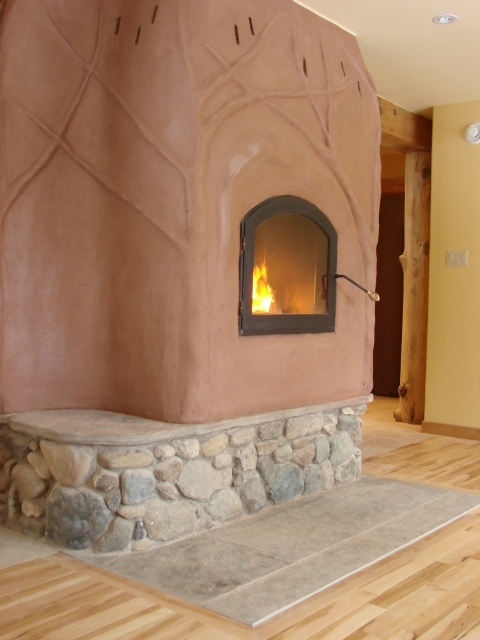 Additionally, some baseboard and masonry oven faces were sculpted using only earthen based plasters prepared on site from locally available clays. 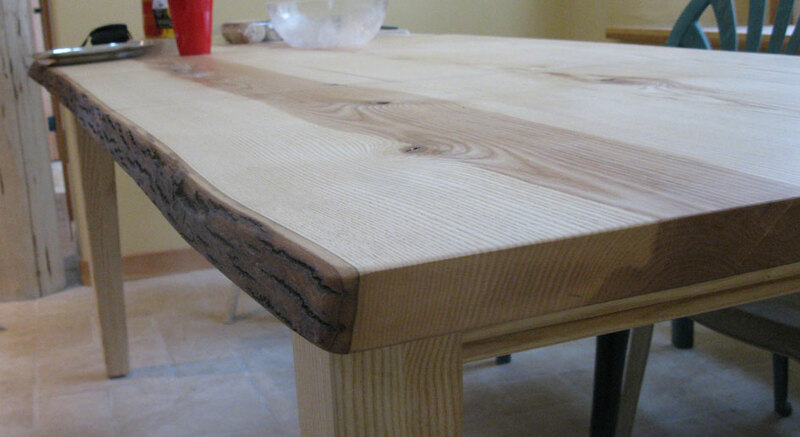 No cement, no polymeric binders…just rich, durable, natural materials.